Let's get fired up! The annual Howard County Bowl is next Thursday, August 30th at 7:30pm in Big Spring. 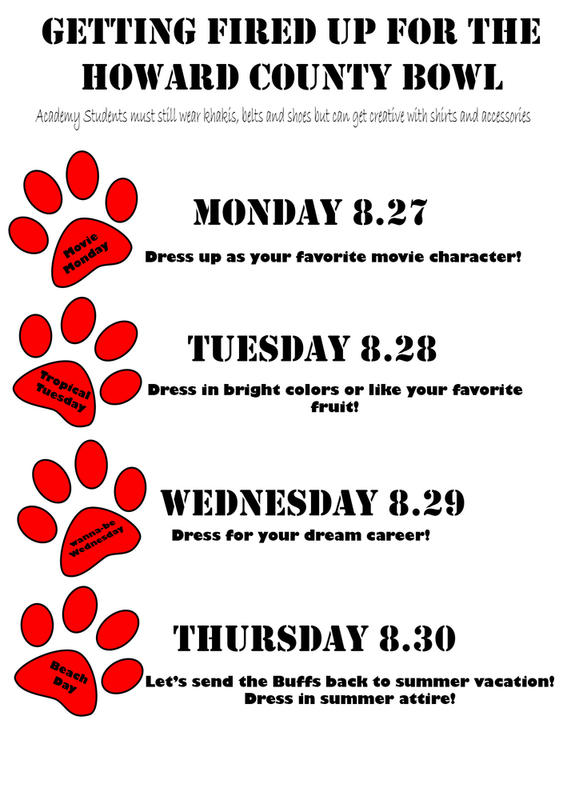 To get our Bulldog's excited, we will be dressing up each day! Please remember Academy students must still wear khakis, belts, and shoes, but can get creative with shirts and accessories.